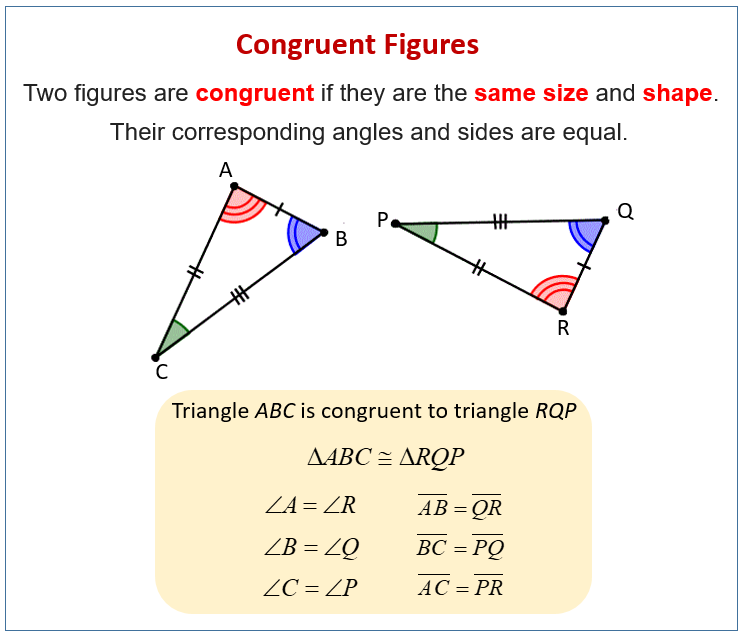 Examples, solutions, videos, worksheets, stories and songs to help Grade 8 students learn about congruence and congruent figures. The following diagram gives the definition and explanation for congruent figures. Scroll down the page for more examples and solutions.